Here's a quick summary of this years cable TV and streaming programing of ghosts, goblins, axe murderers and animated pumpkins. 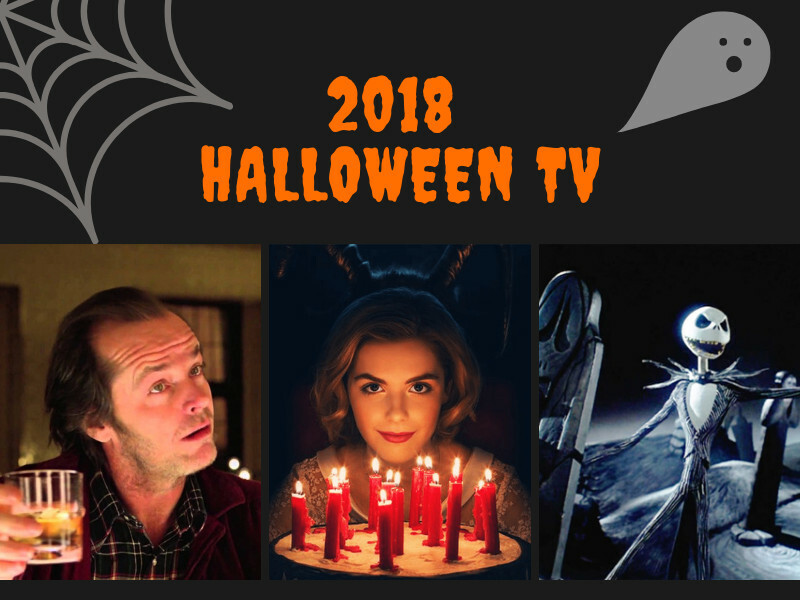 2018 marks SYFY's 10th annual "31 days of Halloween". In addition to the usual horror flicks they'll be premiering five orignal horror films as well as season five of of Z Nation and season 3 of Van Helsing. Read more on Bloody Disgusting. TCM's October schedule is now available and they'll be showing some great mix of classics including The Mummy, The House on Haunted Hill and the silent film Nosferatu. This year Freeform (previously ABC Family) expanded their usual 13 Nights of Halloween to cover the entire month of October with "31 Nights of Halloween"! Although I'm not sure why The Breakfast Club counts as a Halloween movie... The month closes out with a Hocus Pocus marathon on Halloween night. See their full schedule here. That's a lot of Halloween programming! To help keep everything on track Nerd Much put together the full cable TV lineup including AMC FearFest, Freeform’s 31 Nights of Halloween, Disney Channel’s Monstober, Syfy’s 31 Days of Halloween, and Turner Classic Movie’s October so you can easily see what's playing everyday. Click here to see their schedule. For those of us with Netflix, Forbes put together a handy list of horror movies and scary TV shows available this October. Programming includes classics including The Shining and Children of the Corn along with Netflix Originals like The Haunting of Hill House and Creeped Out. Click here to see their schedule. Hulu subscribers can also enjoy a plethora of horror programming including American Psycho, 28 Weeks Later and Carrie. Click here to see the list over at The Daily Dot. And finally, one of my new favorite ways to watch TV is PlutoTV. It's a FREE TV service and they have a dedicated horror channel, Horror 24/7, which you can watch on your favorite device. What are some of your favorite shows and movies to watch during October? Let us know over on Facebook or Twitter.